Q: How do we know which teams should attend which sessions? A: YOU get to choose which sessions your teams will attend. We have a very detailed curriculum that itemizes the common roles in a company so that you (SEO manager/team) can identify which sessions you want each role to attend and be registered for. If you're an agency, we've also itemized some of the common agency roles. Q: How much time it will take to go through the training? A: It varies depending on the role and how much they need to know. For example, writers' training is roughly 5 hours over two weeks, but for a social media marketer or public relations it won't take long to train. These roles would likely spend 30-60 min depending on if they are going through the recordings or attending the live sessions that include Q&A at the end. Alternately, developers and UX designers do need to know quite a bit about SEO. Development's program can be consumed over the 6 weeks' lunch breaks and during 1 live Q&A call per week over six weeks... it can also vary based on how much time they explore tools... and if they're busy, there is a highlights track for them to learn the bare minimum. And yes, everyone will see a highlights track to learn the bare minimum, but have everything for reference all year long. Q: What is the *Highlights Track*? A. SEO managers LOVE the Highlights Track! Most roles cannot sit through hours in SEO Training, we know that. For this reason after the live session we break out recordings into small 1-15 minute chunks so it can be consumed in small breaks. And, we define a highlights track, which is the bare minimum lessons that need to be consumed to ensure everyone has a grasp on the most necessary aspects of SEO for their role. Q: Our non-SEO teams don't think they need SEO training... how do I convince them to participate? A: I've been in SEO since 2002, and SEO has changed A LOT in the last 2-3 years. Technical SEO has especially had significant changes, and needs to be accounted for by your development teams. For writers, there's also so much more to think about. It's no longer a few keywords to target. SEO has changed, and it's time to make sure you have the latest and greatest knowledge for executing SEO in your organization. Q: Our organization has specific needs. Is it possible to get custom training? A: Of course! Use this link to set up a call with Jessica and we'll discuss your needs and custom options. We do this all the time for clients. Let's talk about what's really needed to be customized vs. what portions might be most cost effective to be routed through this program. Q: Why is this training more effective than other SEO trainings? A: This training is more effective than other training programs for 2 reasons. It's specifically designed for Non-SEO teams - Most training programs are designed for SEO practitioners who need to know much more about SEO than Writers, Merchandisers, QA Testers, Developers, Product/Project Managers, etc. This training is tailored to each of the different Non-SEO team roles. One trainer across the entire curriculum - Consistent vocabulary, messaging, tactics, and examples so that everyone has a common understanding and knowledge base. Q: Why should we sign up for your training vs. creating our own? A: If you're one of those people who knows that you have the ability to create this type of training for your organization on your own, the real questions is... do you have time? What is the best use of your time and return on energy? This program will allow you to continue working on your existing projects AND train everybody so that the SEO fires start to disappear. Once you're no longer consistently chasing fires, you can begin focusing on proactive SEO. Wouldn't that be nice? Q: Will there be a way to get clarification and/or ask project questions? A: Yes, there are monthly live Q&A calls included for questions and industry updates. For development teams, there are continuous regularly scheduled live Q&A calls included in the program. Q: How many trainers are there? Why should we learn from SEO expert Jessica Bowman? 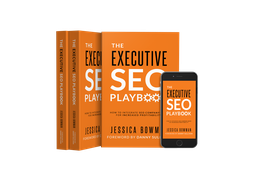 A: This training program has 1 trainer, SEO expert and author of The Executive SEO Playbook, Jessica Bowman. Jessica has been doing SEO since 2002 in large organizations including implementing SEO in global businesses and being part of the Center for Excellence that worked with SEO teams and business units that did not yet have SEO. She's been in your shoes, and learned trial-by-fire how to mobilize teams around SEO, and actually doing it. She's honed these techniques into an effective methodology and training. Q: Will there be any other resources included beyond the training recordings? A: Yes! Additional resources will include checklists and cheat sheets to help your teams. Some of these are specifically noted as "wall worthy" i.e. post them on the wall next to your desk for easy reference. Q: What roles should be in the training? Q: How many people can I add? A: It's a site license, add everyone! This is a special launch in September that gives you a site license for your company for a full year, so look across your entire organization and add everyone that you can... they just need the same email domain (example: @seoinhouse.com). Q: Can we get an invoice instead of paying online? Q: Do we need to purchase tools? A: I do talk about tools, but you do not need to purchase any tools for this program. Most enterprise companies already have tools, such as Conductor, Brightedge, or seoClarity etc., so we do go over tools. For development, I do review quite a few tools but for the most part I reference tools that are free or have a free version (with less data). This will at least give everyone an opportunity to get their feet wet to understand the concepts. The emphasis in the course is on SEO tactics and teaching the principals so that your team can effectively use the tools you have in your organization. Q: What if we forgot to add someone? A: Not a problem. With the site license you don't have to worry about contracts or additional fees. Send over their email and we will add them in! They'll still have access to the recordings that are edited into bite sized chunks until October 2019, so they will learn with the same material, lessons and Q&A discussions.